$20 Cashback In Points With $20 Clothing Purchase! You are here: Home / FREEbies / $20 Cashback In Points With $20 Clothing Purchase! Until February 3 only! 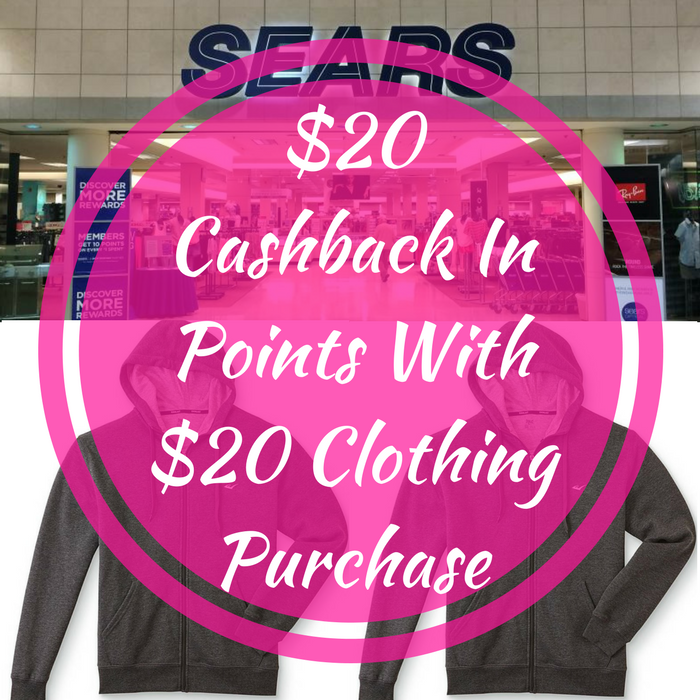 Head over to Sears where they are offering $20 Cashback In Points With $20 Clothing Purchase! Even better, winter clothing is currently on sale for up to 70% off which you can get for FREE valid for online orders only! Points are valid 14 days from purchase. Levi’s are excluded. Please do not use points or FREECASH when purchasing or you will not receive CASHBACK. Shipping is FREE on orders of $25 or more or choose FREE store pickup if available.